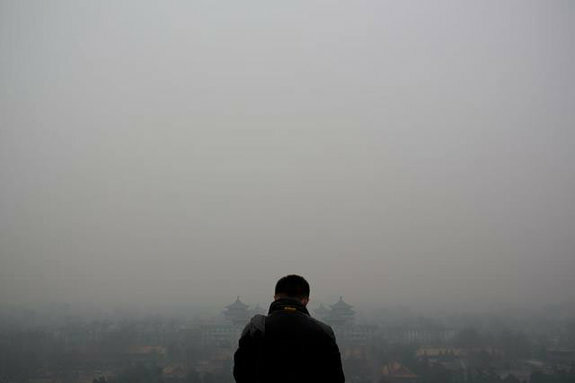 The government has promised to make sure that 60 percent of Chinese cities meet national pollution standards by 2020. The pledge was made amid growing pressure to make cities livable as hundreds of millions of migrants are set to relocate from the countryside. China's environmental problems, including pollution and water scarcity, are expected to intensify as rapid migration pushes urban infrastructures to their limit. Almost all cities monitored for pollution last year failed to meet the standards. The environment has emerged as a key priority following growing public disquiet about smog, dwindling and polluted water supplies, and the contamination of farmland. Poor air quality is estimated to end hundreds of thousands of lives prematurely each year. The vow to clean up the major metropolitan centers was made in a State Council plan released on Sunday for dealing with the rapid urbanization drive. "We will improve and promote green, sustainable and low carbon development in the urbanization process, enforcing the strictest measures on ecological and environmental systems," the plan said. But at the parliamentary session earlier this month, officials said that just three of 74 major cities met the pollution standards in 2013. Policies to meet the new target include boosting renewable energy use, curbing emission-intensive industries and taking heavy-polluting vehicles off the roads. The government will set up a tiered pricing system for electricity, natural gas and water to control consumption of scarce natural resources. It also plans to roll out trading systems for carbon and air pollutant emissions, energy-saving certificates and water to provide economic incentives to reduce waste. Beijing has already picked seven regions to launch pilot carbon trading schemes with the aim of setting up a national market to cut emissions per unit of GDP by 40-45 percent from 2005 levels by 2020. Guangdong Province and the cities of Beijing, Shanghai, Shenzhen and Tianjin have already launched emissions trading scheme.